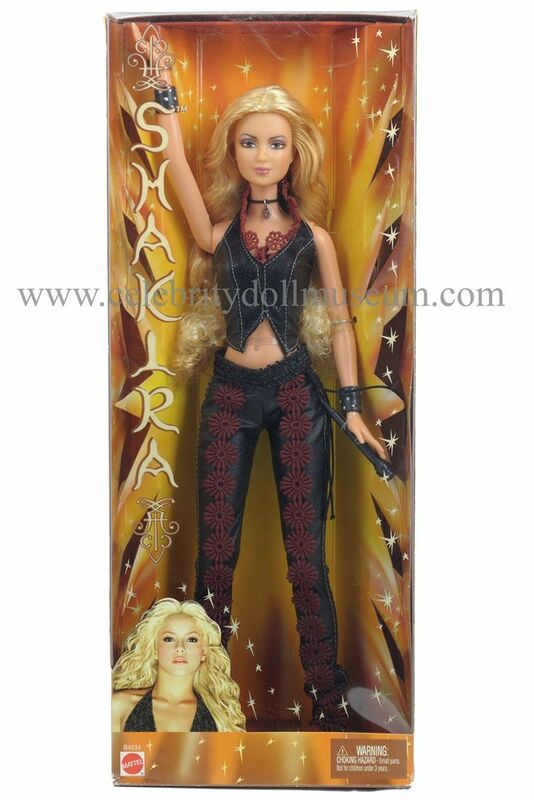 The Shakira celebrity doll depicts her as herself, a singer. She has won two Grammy Awards. The doll was manufactured in 2002 by Mattel and licensed by Shakira, Laundry Service LLC. As the box says “There is only one…Shakira. A legend in Latin America. And now, a sensation the world over.” Her first break worldwide was with the release of her album Laundry Service, which sold over 13 million copies. Her full name is Shakira Isabel Mebarak Ripoll. 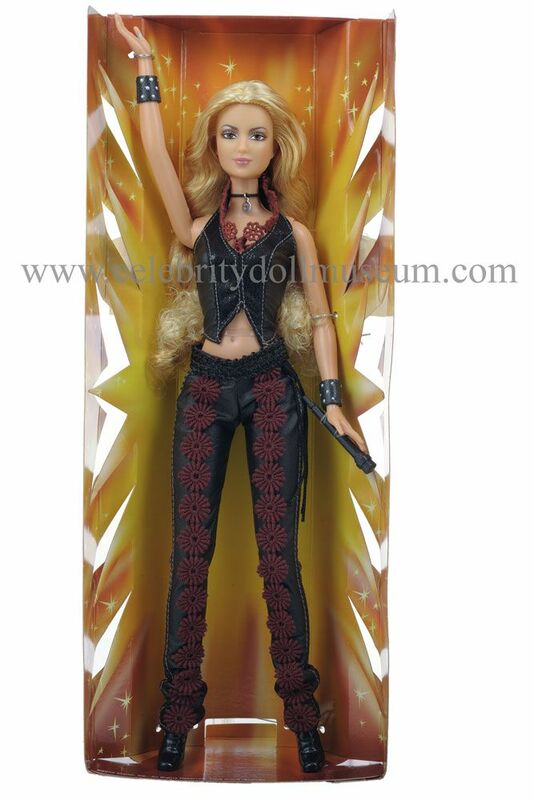 The Shakira celebrity doll is dressed in a faux black leather crop top and pants. Embroidered daisies decorate the pants in a line up the front of the legs and around the collar of top. The pants have 3 black tassels hanging off the left hip. A round silver pendant choker, faux leather studded armbands, and black high heel boots finish off the outfit. The doll is articulated at the shoulder joints so the arms rotate 360 degrees but the arms are stiff. 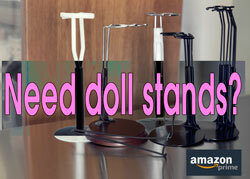 The knees bend and hip joints go forward and backwards and apart about 30 degrees. The head moves up and down and well as back and forth. The torso is stiff and has a painted on belly button and the right hand has a painted thumb ring. How Much Is This Doll? The Celebrity Doll Museum does not sell dolls. Please check Ebay for availability.